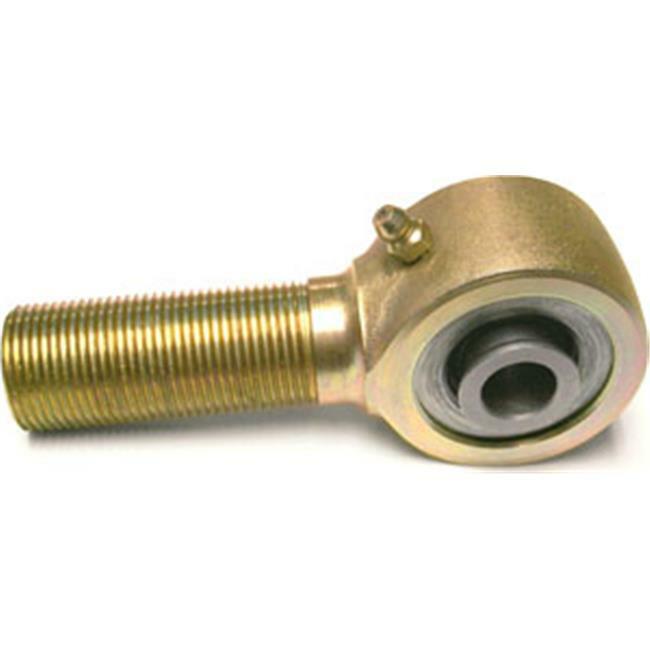 This narrow 2" forged Johnny Joint® is a male rod end that accepts Johnny Joint® internals that are unique to this narrow joint. This version features a one piece high performance bushing, .625" thru hole, a 1.600" mounting width, 2 1/4" of 1"-14 left hand threads on the shank and is greasable through the outer shell. -See CE-9113JN for the Jamnut. Finished in gold zinc plating.